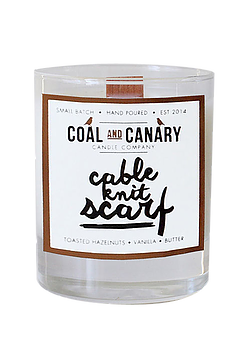 CABLE KNIT SCARF - Stony Lake Furniture Co.
8oz wood wick candle made in Winnipeg with the hightest quality soy and vegetable wax blend. 50 hour burn time. Cable Knit Scarf has notes of toasted hazelnuts, vanilla, and butter.